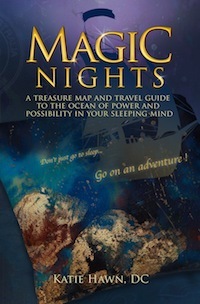 Magic Nights | Use sleep to solve problems and get better rest with this guide book. Do you crave a good nights’ sleep? Would you like some great dreams too? or have a brilliant idea. Don’t ever ‘just sleep’ again! Sleep better, sleep peacefully, sleep deeply and sleep with a purpose. discover the Gifts the Universe has brought to you!